While TPP has the first binding language in its e-commerce chapter, NAFTA could be the first digital economy trade agreement designed to facilitate data-driven sectors such as the cloud, AI, and the Internet of Things. 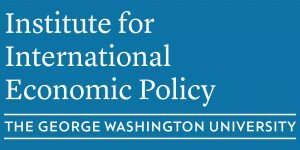 The Institute for International Economic Policy (IIEP) and the Latin American and Hemispheric Studies Program (LAHS) at the George Washington University as well as the Software & Information Industry Association (SIIA) and the Centre for International Governance Innovation (CIGI) present a free event on the data-driven economy in North America. To read Susan Ariel Aaronson’s paper, please click here.